One of the most common ways to use nootropics is as a study aid. Students around the world depend on nootropics to keep them alert, improve their focus, enhance their memories and reduce study-related anxiety. Unfortunately, there is little clinical research on the effect of nootropics on academic performance. This is because nootropics were developed to treat medical conditions like Alzheimer’s disease and narcolepsy, and they are tested on people with these medical problems, not on healthy people. However, many nootropic users have reported their own experiences with using nootropics to help them study. You can use these experiences as a guide to choosing the nootropics that meet your study needs. What Do You Really Need Help With? Before choosing a nootropic, or a group of nootropics to stack, you need to know what your study problem is. Are you having trouble staying awake and concentrating? Do you read the same notes over and over without remembering them? Is it sometimes hard for you to think logically? What about creatively? Does the thought of taking a test make you so nervous that any answers you know fly right out of your head? Your problem may simply be that you need more time to study. Maybe you’ve left studying until the last minute, or maybe you have lots of exams coming up at the same time. More study time means less time for sleep. You could take an amphetamine, like Adderall, but amphetamines can make you nervous, and that can make your studying less effective. They can also cause you to crash. The last thing you need is to mis-time your dose, spend hours studying, and then sleep through your exam. Amphetamines can also be addictive. Your solutions: Modafinil or Phenylpiracetam. 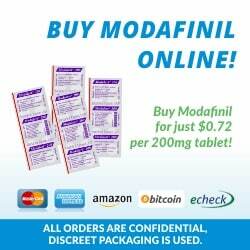 Modafinil was developed as a drug to help people stay awake. It’s prescribed for people with conditions, such as sleep apnoea, narcolepsy and shift work sleep disorder, that make them fall asleep when they aren’t supposed to. Unlike amphetamines, Modafinil is not addictive and does not cause nervousness. It doesn’t cause insomnia, and it doesn’t create sleep debt, so after your exams are over and you’ve stopped taking it, you can go back to your normal routine. You don’t have to spend extra time in bed, making up your lost sleep. Try not to overuse Modafinil. Some users report that you can build up a tolerance to it, meaning that you will need to keep increasing your dose to get the same effect. To avoid this, it’s best to take it only when needed or on a week on, week off schedule. Phenylpiracetam is also a stimulant. Its effects have been compared to that of Adderall. However, it is not addictive and does not have serious side effects. Like Modafinil, it can create a tolerance, so be careful not to overuse it. If you’re having trouble staying focused, Modafinil can help with that, too. People who’ve used Modafinil as a study aid say it helps improve their attention span. Research shows Modafinil helps children with ADHD, but it is banned for use in children in Australia because it can cause a dangerous skin condition, Stevens-Johnson syndrome. Noopept and Pramiracetam are also said to be very effective at improving concentration. Studying involves memory consolidation, transferring short-term memories into long-term ones, and memory recall, retrieving long-term memories so you can use them. In fact, many studies on animals and people with memory impairments have shown that all the racetams can help restore memory. This means any of the racetams might help improve your memory. However, some users report that Pramiracetam is the best memory enhancer for them, so if you are comfortable with racetams and your main study problem is your memory, Pramiracetam could be the nootropic for you. Pramiracetam is extremely powerful. In fact, it’s so powerful that it’s recommended that it not be stacked with other nootropics. If you are new to nootropics, or you have other issues that would best be helped with other nootropics, you might be better off choosing another racetam for memory enhancement. Sleep is known to play an important role in memory consolidation, so make sure you get enough sleep. If you can help it, don’t put off studying until the last minute, so you end up having to stay up all night. 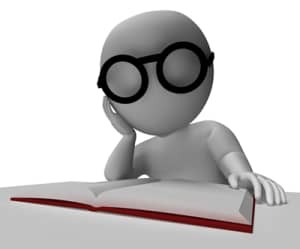 While there are no clinical studies on how nootropics effect studying, some people claim that different nootropics are better for different subjects. Oxiracetam is reported to be the best nootropic for subjects that involve logical thinking, such as mathematics. If you need to be creative, try Aniracetam. Users say it helps with verbal tasks and creative visualization. If you need to write an essay, give a speech or think of creative solutions to problems, aniracetam could be your nootropic of choice. Stress is an important factor in preventing exam success. No matter how well you know a subject, test-induced nerves can make it hard for you to concentrate and can prevent you from recalling what you’ve studied. There are a number of nootropics known to have anxiety-relieving properties. These can be very useful to you, if you find that stress is a big problem. Studies on animals show that Aniracetam, Phenylpiracetam and Noopept could help with anxiety. Aniracetam and Phenylpiracetam appear to affect receptors for dopamine and serotonin, which affect mood. Aniracetam has been shown to improve sociability in mice, and many people with social anxiety claim that it helps them tremendously. Consider taking it if you suffer from social anxiety and have to give a presentation or take an oral exam. Some people say that Pramiracetam helps with social anxiety, but there is no scientific evidence to confirm this.